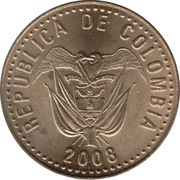 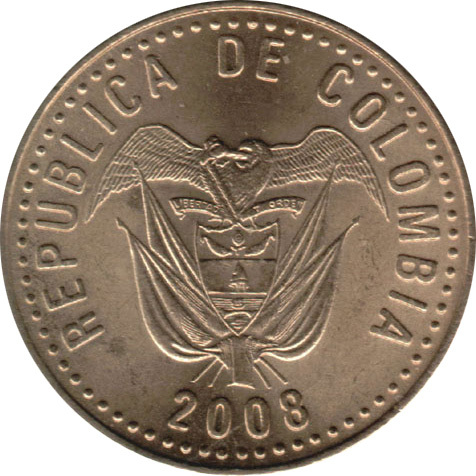 Colombia coat of arms and the motto "Liberty and Order"
Two times the value, between two milled sections. 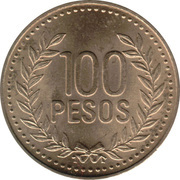 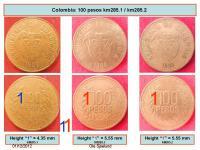 Varieties exist with letters up or down when the obverse faces up. 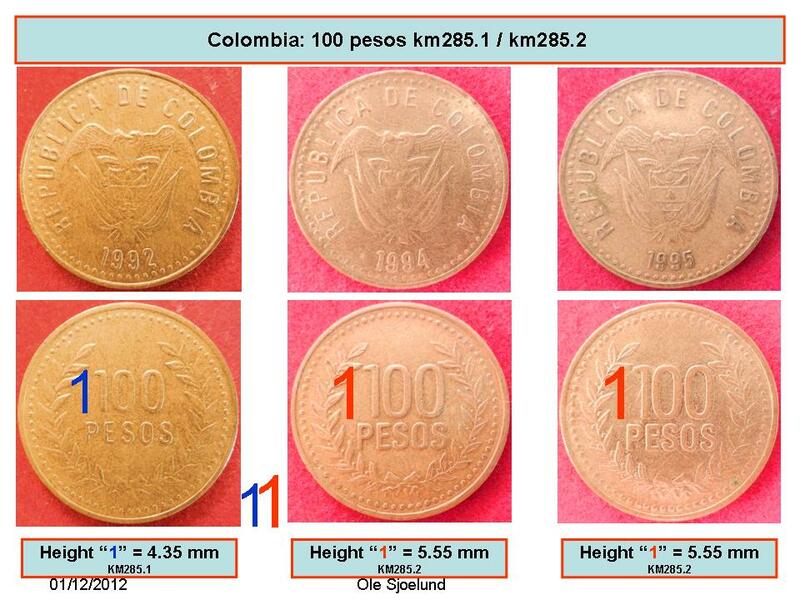 Until 1995, three varieties of letter size exist (small, medium or large letters), while coins after 1995 all have large letters.